Cheese is loved by everyone – whether you are a kid or an adult. Did you know that cheese also has many health benefits? Cheese is loaded with proteins, Vitamin A, riboflavin, calcium, phosphorous, zinc, and Vitamin B12. It can help you to strengthen your bones, tackle high blood pressure and enhance your immune system. Along with that, it is also helpful for your skin and hair. So, if you wish to look gorgeous and want to flaunt your beautiful hair Cheese is your answer. Know more about this. You will be able to enjoy a supple skin: Cheese contains vitamin B and can help you to keep your skin soft and healthy. So, just grate some cheese on your favourite sandwich. You will be able to get rid of blemishes: Eating cheese can have a host of benefits and can help you to get rid of those annoying blemishes. Cheese is loaded with vitamin B which can aid cell metabolism and growth of cells and help you to get a glowing skin. 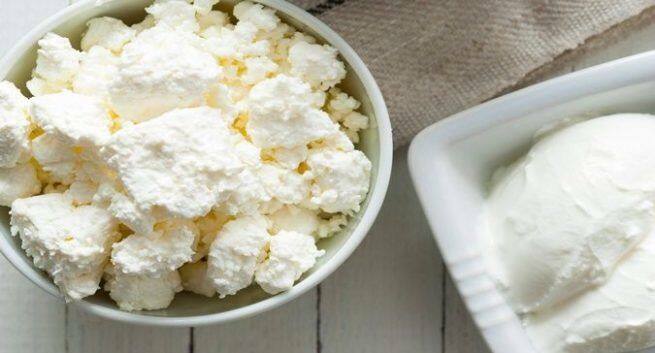 You will be able to strengthen your hair: Low-fat cottage cheese is abundant in protein and calcium which can improve the shine and texture of your health. It is also packed with zinc and can promote hair growth. It can help you to deal with acne: Is your acne a cause of embarrassment? Is it troubling you? Did you know that many people avoid eating cheese as they fear that they might develop acne? But according to a study, cheese is rich in vitamin B and can tackle damaged cells and help you to get rid of acne. The takeaway message: You can eat cheese in small proportion after consulting your expert as going overboard is not a good idea since cheese is loaded with fat.